We are delighted to announce that in 2018 we once again achieved the EIQA Q-Mark for Quality Management Systems, in the highest category attainable! This accomplishment builds on the previous Quality Management Systems Q-Mark success we have enjoyed since our Q-Mark journey with the Excellence Ireland Quality Association began in 1996. The Q Mark for Quality Management Systems is a continuous improvement programme. This means that 100% of our business processes, procedures and resources are assessed on an annual basis in compliance with the Q Mark for Quality Management Systems framework criteria. At the end of the assessment, our organisation is given an extensive business report. This identifies current best practices observed as well as suggested areas for improvement and will also provide us with the basis of a business plan for the year ahead. The report also identifies ways for the business to operate to the highest standard of quality and excellence. During subsequent assessments, all recommendations from previous reports will be assessed to ensure that our business continues to improve our standard of operations year on year. Using The Q Mark framework ensures that our business has accountability in every part of our service and whilst enhancing consumer and client confidence, it also facilitates preparation for any regulatory authority audits or visits. In line with our commitment to continuous improvement we have many enhancements in place for the 2018 season and we look forward to seeing you here soon. 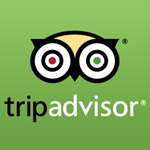 Another accolade we consistently receive is the Trip Advisor Certificate of Excellence. The Certificate of Excellence award is given to outstanding hospitality businesses that have received praise and recognition in reviews by Trip Advisor travellers. To qualify for the Certificate of Excellence, businesses must maintain an overall rating of four or higher, out of a possible five, as reviewed by travellers on Trip Advisor. Our latest Certificate of Excellence award joins those from previous years and we are once again delighted to receive this recognition from visitors to this magical place. We are also proud to say we have been awarded the 2018 CIE Excellence Award for the eighth successive year! 97% of CIE Tours customers are “first timers” and this award is only presented to those who achieve a customer satisfaction rating in excess of 90%. Once again we were awarded the Q-Mark for Quality Management Systems, reaching the highest award category. We are delighted that Sally Carroll, our Student Liaison Officer was one of only three finalists in the Leadership category in the 2016 Godolphin Stud and Stable Staff Awards. In 2015, our Marketing & Promotions Officer was appointed as Director of Houses, Castles and Gardens of Ireland. Three team members were nominated for the 2015 Stud & Stable Hands Awards. CEO voted Chairman of Kildare Fáilte 2014-2015. Irish Stud and Stable Hands Award 2013 – Michael Kelly.